Remember on Christmas when you were a kid and the anticipation surrounding your presents? Even though you dropped countless hints to your parents, you never really knew what was in those colorfully wrapped boxes until you opened them. Sometimes it was that one toy you had to have, but every now and then your parents would surprise you with the mystery box. What was in this box? What awesomeness was this? Remember when you opened it how you would just be knocked on the floor by the surprise. Who knows, maybe you lost your mind like the Nintendo 64 kid. Now imagine getting a mystery box like this every month. Wouldn't that be the coolest thing ever? If your answer is yes, then you must sign up for LootCrate! There will be a private VIP reception from 8:00pm-11:00pm with drinks and appetizers served. Ubisoft, in partnership with Rock the Vote and SA Studios Global, invite you to the Chicago launch of "Art of the Assassin" - a traveling art exhibit celebrating one of 2012's most anticipated video game releases, Assassin's Creed III. 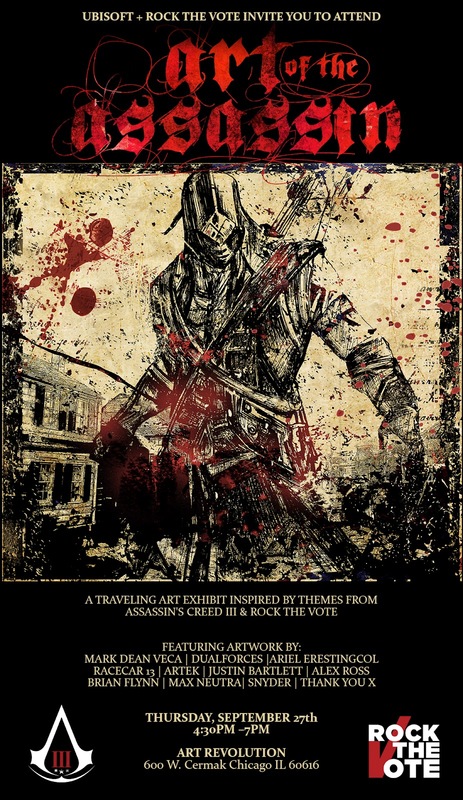 Artwork will feature themes inspired by the game's setting and sentiment: the American Revolutionary War. Join us for drinks and music by DJ Skee, as we showcase pieces from some of the most distinguished contemporary artists in the country. Hopefully, we'll see you there and we will put up a post after the event. My Little Girl's New Word...Thanks, Jake! 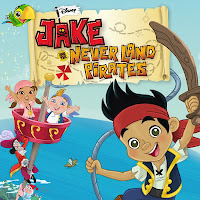 Lately, my little girl's new favorite show is Jake and the Never Land Pirates on Disney Jr. This is a cute show revolving around Jake and his friends: Cubby, Izzy, Skully the parrot and their adventures with Captain Hook and his band of bumbling pirates. Like most kids shows nowadays, this show teaches counting, teamwork, problem-solving skills and catchy songs, but one thing it taught my little girl is a word that has become a bit of a nuisance. What's been going on with the Fandads? It's been quite awhile since our last post, but we haven't forgotten about you. Things have been a little busy on both our ends and we apologize for the lack of post. So, let's get you updated on what's been going on. I recently got a new job teaching and if you've been watching the news in Chicago you know what been going on with that. I would like to give my opinion of the story, but that will have to wait for now. There has been a new addition to my family: my older sister just had a baby girl and she is incredible. Now while I have been busy working in a school, Fandad Gil is busy himself with school. He is also going into the teaching profession, so who knows, maybe this will become a blog about being dads/teachers who are into comics, video games and movies, but I could be jumping the gun here. As busy as we both are, we still are coming up with ideas to improve the site and build a community here with all you other Fandads out there. Once place we have been active on is our Facebook page. Have you liked our page lately? Recently we gave away a copy of Madden 13 for the 360 and will be coming up with more contest on there soon. So keep checking our status updates, because you never know when a contest will pop up. Also, I'm serious about having a group of Fandads run the Warrior Dash together next year. I'm looking into pricing to make a shirt that we can all wear while doing the dash. I recently signed up for Loot Crate, which I'm pretty excited about, so be on the look out for a post on that as soon as my crate comes in. I'm trying to work out something with them also, so if anything happens, we'll let you know. 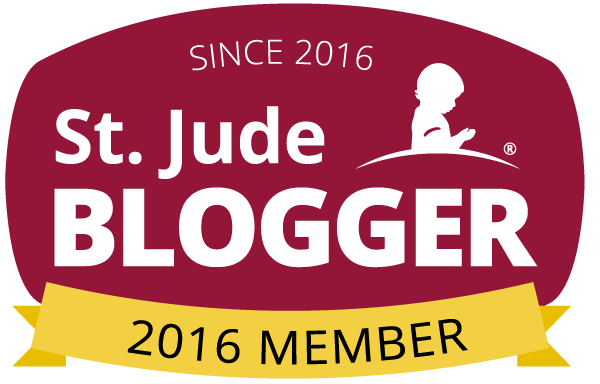 I also have been talking to other interesting companies and trying to get some cool stuff going on for our readers. Who knows what we'll giveaway next? Lastly, we want to thank all of you who are active on the Facebook page and support us here on this page. We really want to build a community with other like-minded dads and make this thing bigger than a website and facebook page.